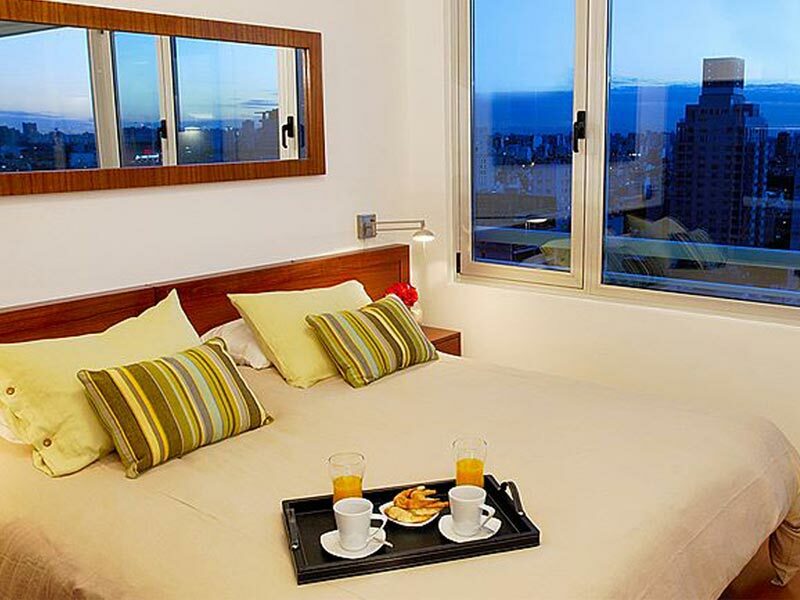 Apartment in Palermo Soho, Buenos Aires - A Room With a View I ! 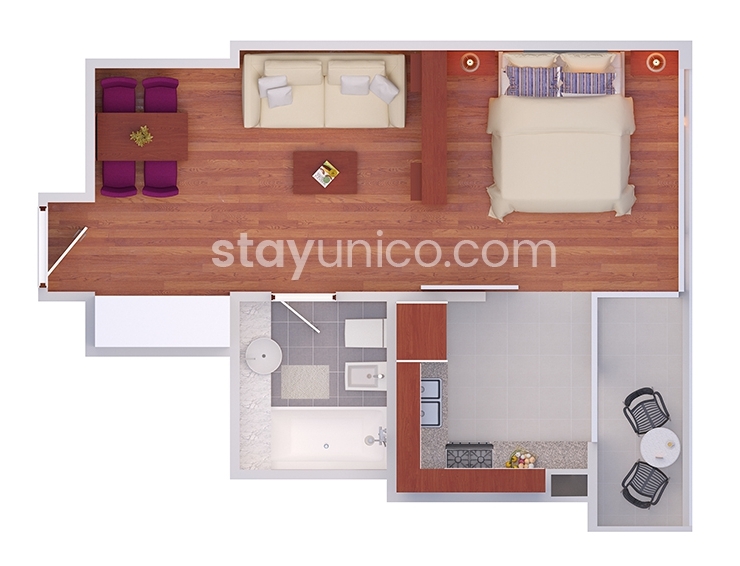 High end and high rise 430 square feet studio apartment with amazing views, well equipped gym, large pool and sundeck in Palermo Soho – A quintessential Room with a View. This well appointed Palermo Soho studio reaches new heights, literally. Being located on the 16th floor of this newly built and high end luxury block, this apartment for rent in Buenos Aires certainly is an impressive room with a view. 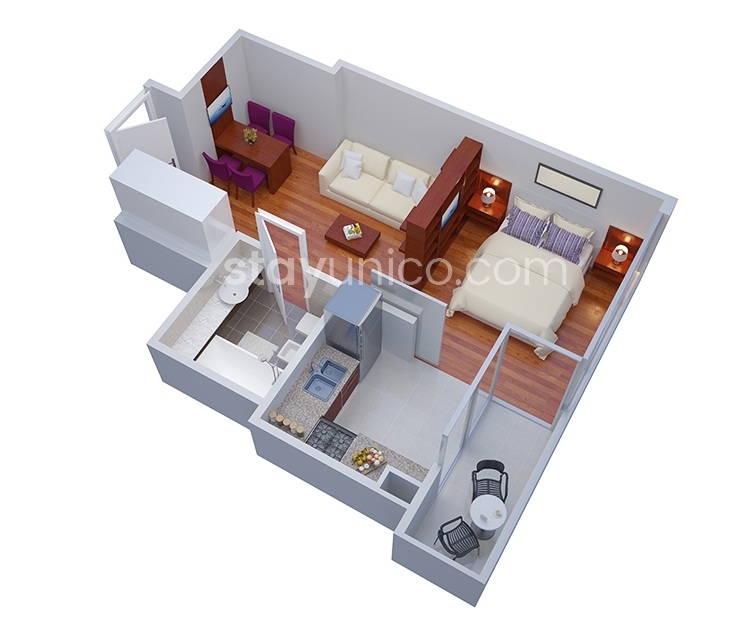 This spacious studio, over 40 square meters (430 square feet), was finished in 2009, to a very high standard, and this is reflected throughout the property. It features a well equipped open plan kitchen, comfortable seating area, balcony, a queen sized bed and a very well appointed bathroom. 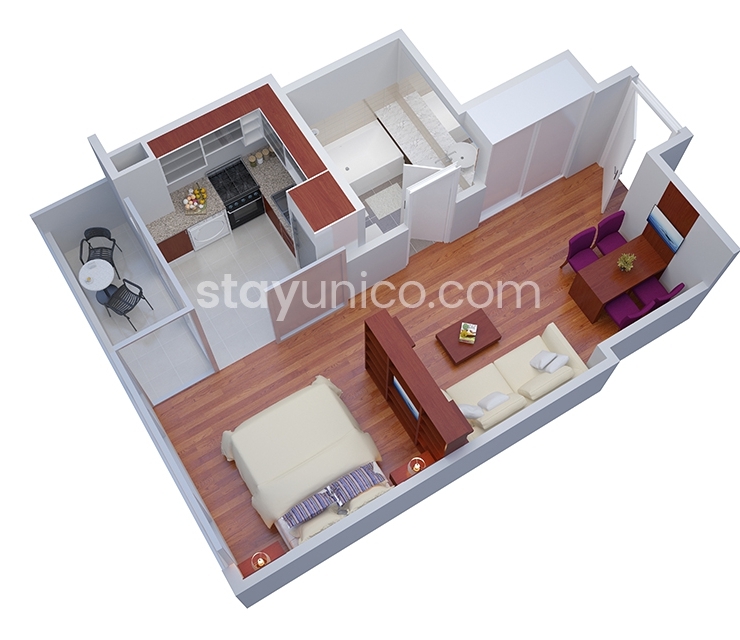 This great studio apartment represents fantastic value for money. 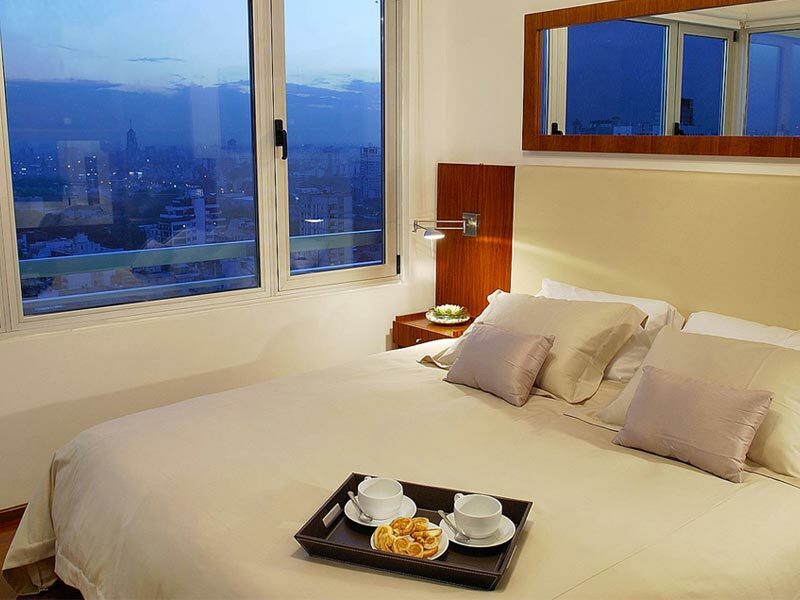 Ideal for both couples and solo travelers, you will wonder why you ever used to stay in hotels. Identical units available in the same building. Check-out A Room With a View II and III.